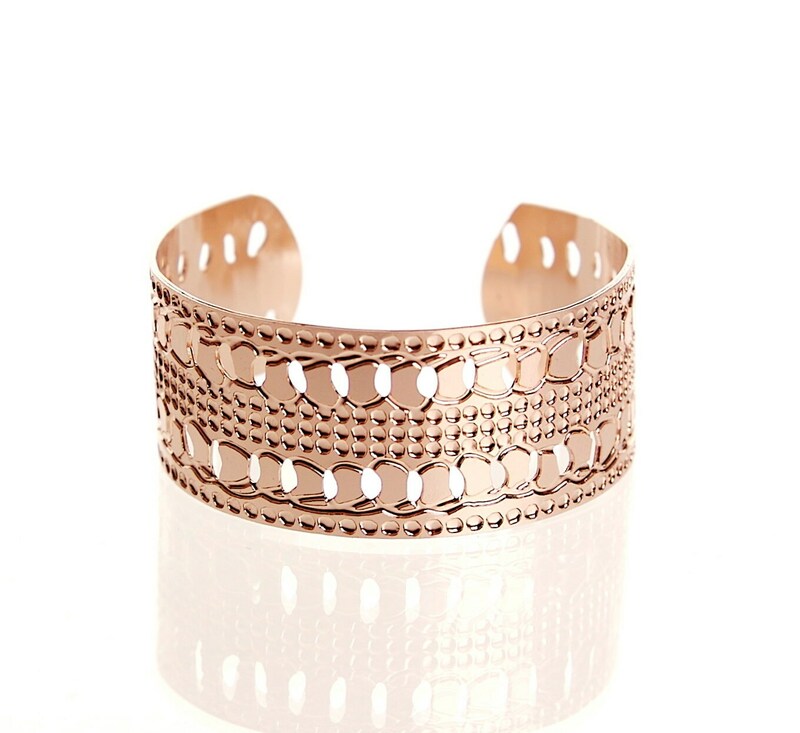 Rose Gold cuff a 1 inch wide cuff dipped in Rose Gold, dotted design. Made from rose gold plated brass. The cuff is 6 inches around with about an inch opening. It has some adjustability but not much.